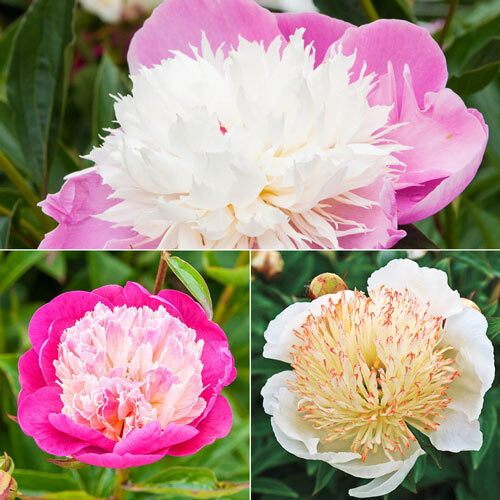 Named after the French dessert, bombe, these blooms feature longer guard petals encircling especially showy centers. 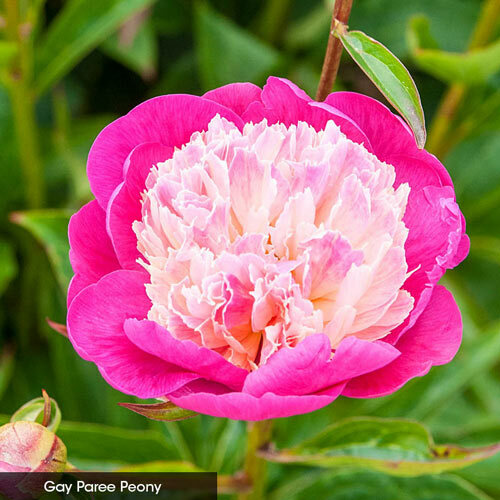 The flash of illuminating, contrasting color, and the unusual shapes of the staminodes show just how dynamic the peony can be. 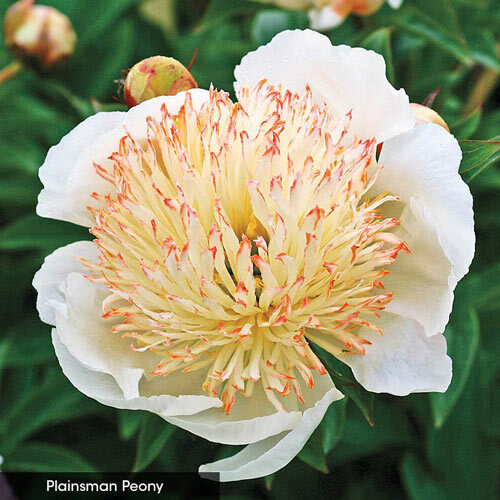 Plant in a place where visitors can examine the blooms up close—because they will certainly want to. 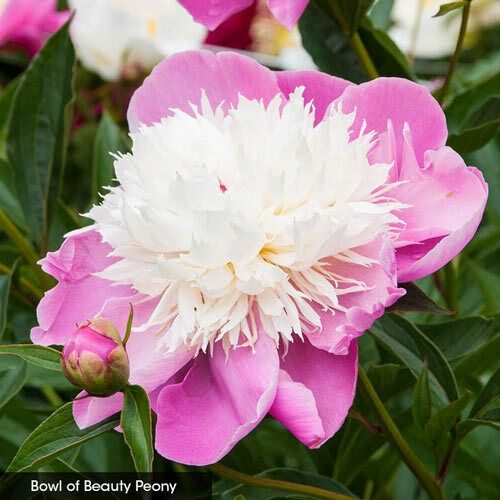 Despite how sophisticated the blooms look, these peonies are actually quite easy to grow. They require at least 6 hours of sun and well–drained soil, and once established, prefer very little maintenance from you. They can thrive in the garden for decades. Includes Charles Burgess, Tom Eckhardt and Primevère. 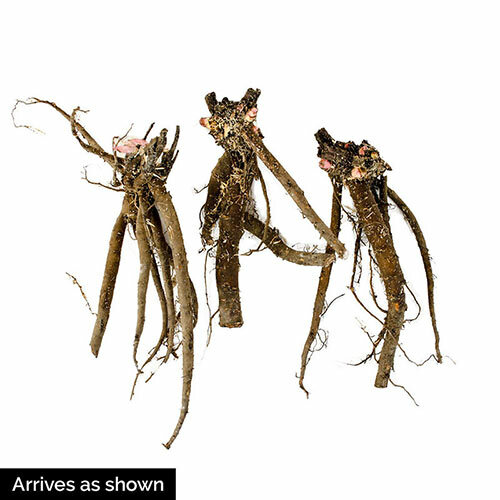 Planting InstructionsPlant with eyes just below the soil. Planting too deep will result in poor flowering. Winter CareNone, except to mulch the first winter especially if fall planted. Soil RequirementPrefers well drained, but suitable for almost all types of soils. PruningOnly to remove spent blooms and remove tops after freezing in fall. After flowering and after tops freeze in fall. Growth RateInitially slow but becomes moderate after 1-2 years.